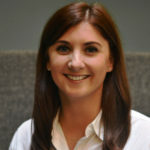 Aberfield Communications in Leeds has recruited Laura Cavanagh as its senior PR consultant. She joins from ilk, where she’s worked since 2015, most recently as senior PR account manager. “Laura brings a great mix of PR and marketing experience to Aberfield and will be supporting the growth of new and existing clients. It’s great to have her on board,” said Phil Reed, managing director of Aberfield. The appointment comes after the agency was brought in by York Central Partnership to create a brand, communications and engagement strategy. “Aberfield’s approach to creative campaigns and passion for getting under the skin of audiences in order to deliver positive influence really stood out to me; it’s great to be joining the team at such an exciting time,” she stated.